At Safari for Real we always aim to give our guests a holistic experience of Africa’s wilderness and all that it offers: a REAL safari. Lex Hes, a naturalist and wildlife photographer, was born and educated in Johannesburg and has been involved in the world of wildlife since the mid-70s when he started working at the fledgling and now world-famous Londolozi Game Reserve. He worked there for 15 years as a guide, wildlife film-maker and stills photographer and camp manager, before setting off on a free-lance career in 1993. He is an author and nature photographer with five books to his credit – the highly acclaimed Leopards of Londolozi; a children’s book calledBushschool; Attracting Birds to Your Garden in Southern Africa; The Complete Book of Southern African Mammals; and Wild South Africa, about the biomes of his native country. 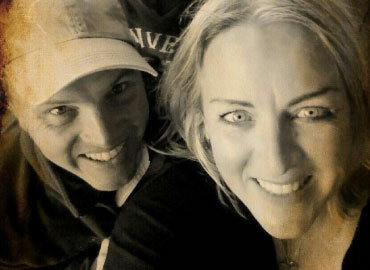 Lex was also part-owner of EcoTraining, Africa’s top safari-guide training company, for 16 years. Lex spent 18 months doing biological work on the sub-Antarctic islands of Amsterdam and Marion and has led tours to West Africa, Rwanda, Tanzania, Kenya, Zambia, Botswana, Zimbabwe, Namibia and Madagascar. Lex lives in Nelspruit, South Africa, not far from the Kruger National Park with his wife Lynn and has two grown-up children. Lex’s main aim (apart from just having a great experience) is to try and teach his clients about Africa’s ecosystems and the importance of the world’s natural cycles in his easy-going and friendly manner. 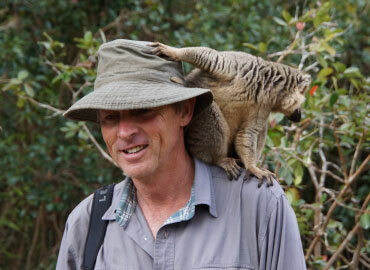 Chris began his career as a professional safari guide in South Africa 18 years ago. In the game rich areas he has had the privilege of guiding in, reading animal behavior, birding and tracking became his greatest joys in the field. 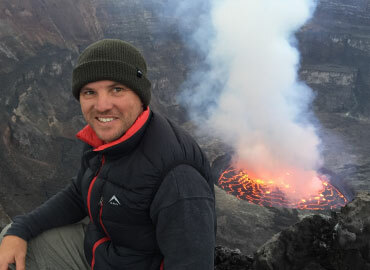 His passion for the industry has led Chris to be involved with the development and training of aspiring guides in South Africa, Kenya and Tanzania and to date has trained and mentored many of the industries’ top local guides. His all-round love of nature and skills from tracking to observing wildlife in its natural form has always left clients with a new and deepened understanding for Africa, its beauty and its people. Be it on trails, in a game vehicle or simply sitting around a campfire discussing interesting sights from the day, Chris will keep you captivated and well-informed, and eager to see and experience more! His special gift, is that he is able to make every individual person enjoy their wildlife experience in a way that is unique for them and his goal is to share the wonders of nature with each one so that it will truly be an unforgettable experience. Chris leads safaris to Botswana, Namibia, Zimbabwe, Zambia, Kenya, Tanzania, Uganda, Rwanda, Ethiopia, The Democratic Republic if Congo and of course South Africa. After studying agriculture in the United Kingdom and spending as much time around animals and wildlife as I could, I finally made my way to South Africa. First stop was the Kruger National Park and first camp Punda Maria – I was in heaven. I was lucky got to see the most amazing wildlife, and after making my way through the National Parks in South Africa and Swaziland my last stop was Hluhluwe – Umfolozi – standing watching the sun set over the Umfolozi river stole my heart and I was hooked. In 1999 I moved to South Africa to start my new life. Good fortune struck and with the help of Djuma Game Reserve, I spent the next 8 years living and working in the Sabi Sand Game Reserve. This was a life changing experience – but somehow it seemed natural to me! Leopards looking through the window of our house and leaping across bushes became normal. Chris was also working at Djuma and this is where the picture was completed. We were married and then blessed with our son Harry – who, now of course, thinks he is also a Field Guide. The next few years we spent in Addo Elephant National Park in the beautiful Eastern Cape, until now settling in Cape Town, to focus on Safari for Real. We have now settled in the beautiful city of Cape Town where our focus now is on giving our clients the best possible wildlife experiences through Safari For Real. I look forward to helping you create your life-changing safari journeys.